New Morgan Book; the Sequel! With Britain recovering from World War II, Morgan introduced the new Morgan +4 sports car. Sales were very limited not helped by the scarcity of steel supplies. The Morgan factory needed to sell in the global market and there was no better place to give visibility to the brand than the Le Mans 24 Hour race. Their attempt in 1952 didn’t go well! Morgan’s next entry to the greatest sports car race in the world had to wait another nine years, when the baton was picked up by privateers Messrs Lawrence and Shepherd-Barron. That didn’t go well either! Then the following year, Morgan replicated the success of the pre war years – but this time they went one better and famously won their class. 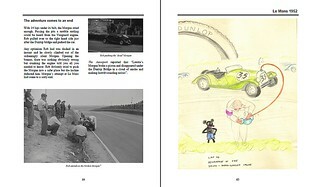 This book tells the story of Morgan’s adventures at Le Mans in 1952, at Monza and Le Mans in 1961 and at Le Mans in 1962. 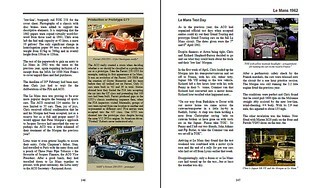 It includes extensive biographies of the lesser known Morgan competitors - but what they achieved outside of motor racing was scarcely believable. Numerous rare black and white and colour photographs have been used drawn from private collections, many of which have never appeared in print before. 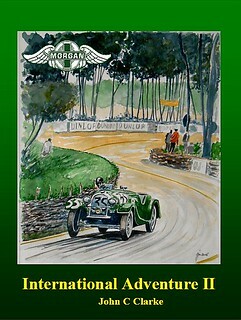 Morgan International Adventure II is available now as a limited edition of just 250 copies. Priced at £36.00 plus P&P, the book can only be purchased from me. It will not be available from Amazon or any of the traditional book shops. Can I pick it up at Le Mans Classic?! Doesn't look like I can make it to Le Mans this year as I'm drowning in orders. I've forgotten what it is like to run a one man marketing, publishing, packaging and despatch operation! I have Silverstone Classic, BDC and Mog16 in my sights so hope to catch up with you then. And yes, I've put one aside for you. Good luck to all the Le Mans competitors - at least it should be dry this year. GREAT book, I cannot put it down! Thanks for all that effort. A truly great book many congratulations. 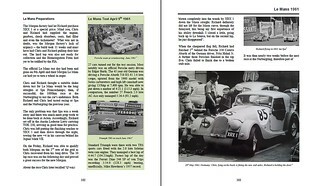 The book was at home on my return from Classic Le Mans, I have now read it from cover to cover, some great photos and lots of new info. A throughly good read and can recommend it to others.